A recent OmniPoll survey commissioned by Dymocks found that three quarters of all Australians love reading a good book. Women lead the trend with 83 per cent making regular ‘me-time’ to read, compared to 66 per cent of men. The survey also found that 70 per cent of women say they love to receive books as presents, which is good news for those searching for Mother’s Day gift ideas. 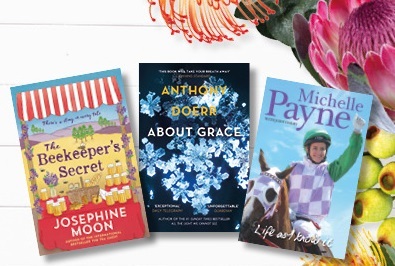 To help you choose the right gift for your mum, Australia’s leading bookseller, Dymocks, has put together these gift recommendations to suit every taste. “Fiction is always a popular gift for mum and we predict The Beekeeper’s Secret by Josephine Moon and Return to the Little Shop of Kabul by Deborah Rodriguez will fly off the shelves this Mother’s Day,” said Alexandra. 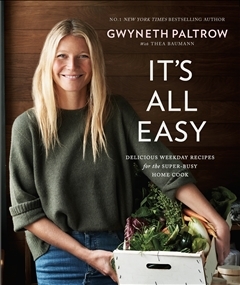 Mums also love a new cookbook and celebrity chefs have dished up some tasty treats with One Pot Favourites by Pete Evans, Dinner with Justine by Justine Schofield and It’s All Easy by Gwyneth Paltrow offering recipes to remember. While cookbooks and fiction titles have remained favourites amongst Dymocks Booklovers, it is anticipated that biographies will also be a popular gift for mums this year. Although Christmas remains one of the busiest times of the year for Dymocks bookstores across the country, the lead up to Mother’s Day also sees a big increase in sales in the fiction and cooking genres as people hurry in looking for gift ideas for mum. “Although these categories remain favourites, our knowledgeable and well-read staff can provide recommendations across all genres to suit every type of mum,” said Alexandra Hammond. 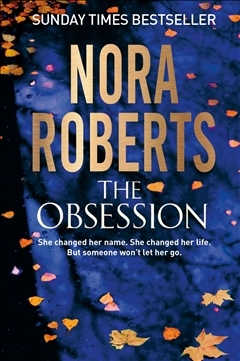 Other Mother’s Day recommendations span across a range of genres and include an exploration of religion in Beyond Belief, the long awaited and beguiling second novel The Course of Love by philosopher Alain de Botton, and The Obsession a romantic thriller by best-seller Nora Roberts.